AT&T announced this morning that it will be carrying both the BlackBerry Q10 and BlackBerry Z10. While the announcement speaks to the carrier's excitement of supporting the two new devices, no release date or pricing has been announced as of yet. If you visit AT&T's site it lists that you can sign up to be notified when the Z10 is available, but there is nothing yet for the Q10. 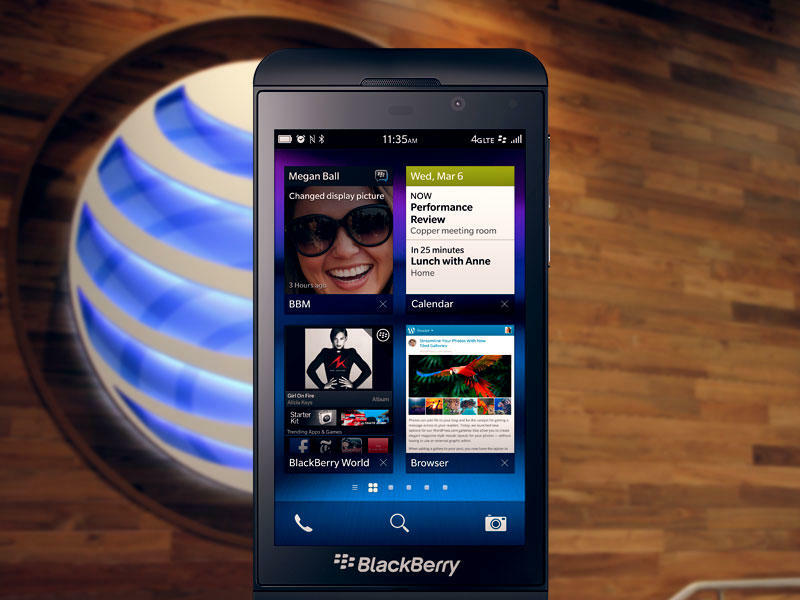 The BlackBerry Z10 will be the first phone from the company to support AT&T's LTE network. AT&T* today announced plans to offer the new BlackBerry® Z10 and BlackBerry® Q10 smartphones powered by BlackBerry® 10. The new BlackBerry Z10 is the first smartphone to launch with the re-designed, re-engineered and re-invented BlackBerry 10 platform, offering customers a powerful and unique new mobile experience. It is the fastest and most advanced BlackBerry smartphone yet, with a smarter experience that continuously adapts to a customer's needs. The BlackBerry Q10 comes with a physical QWERTY keyboard that BlackBerry fans have loved for years, while the BlackBerry Z10 offers an impressive touchscreen keyboard that provides a modern and easy typing experience. "BlackBerry is back. AT&T was the first carrier to launch BlackBerry smartphones and services in the U.S. and we are pleased to offer the fully re-designed and modern OS to our customers," said Jeff Bradley, senior vice president, Devices and Developer Services, AT&T Mobility. "The new BlackBerry 10 platform is a fresh take on today's smartphones with all the key features BlackBerry fanatics need, including a refreshed version of RIM's unbeatable email solution, a better browser experience and easy access to all their messages in BlackBerry Hub." "The BlackBerry Z10 smartphone delivers a powerful new platform for BlackBerry customers. Combined with the 4G LTE network and service plans from AT&T, BlackBerry Z10 customers will be delighted with a re-invented communication experience, seamless multitasking, easy access to multiple social networks, and the peace of mind that BlackBerry security gives them," said Carlo Chiarello, EVP, Global Smartphone Business at RIM. BlackBerry® Balance™ technology – Protects what is important to customers and the businesses they work for. With the launch of the BlackBerry® Enterprise Service 10 platform, AT&T business and government customers will now have an additional option to choose from when deciding which Mobile Enterprise Mobility Management solution best serves their needs. For more information, please visit http://www.att.com/blackberryz10.